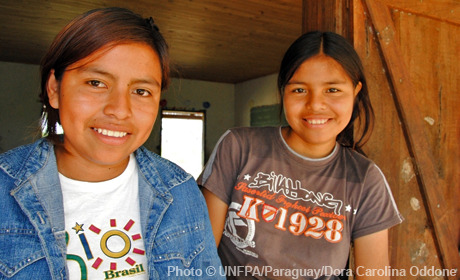 Paraguay has one of the highest maternal mortality, poverty and inequality rates in the region. Limited sexual and reproductive health services and education for young people help explain the high adolescent pregnancy. UNFPA seeks to increase culturally sensitive service availability, information and contraceptives for vulnerable groups such as adolescent girls, rural women and poor people. Programs support integrated population issues and knowledge sharing for national development, advocating and promoting gender and human rights approaches in laws, budgets and policies.